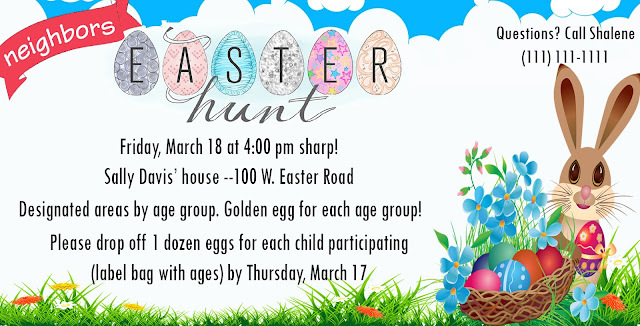 This year I was once again asked to help with the neighborhood Easter egg hunt by creating the flyer that was dropped off at every home in our ward's boundaries. 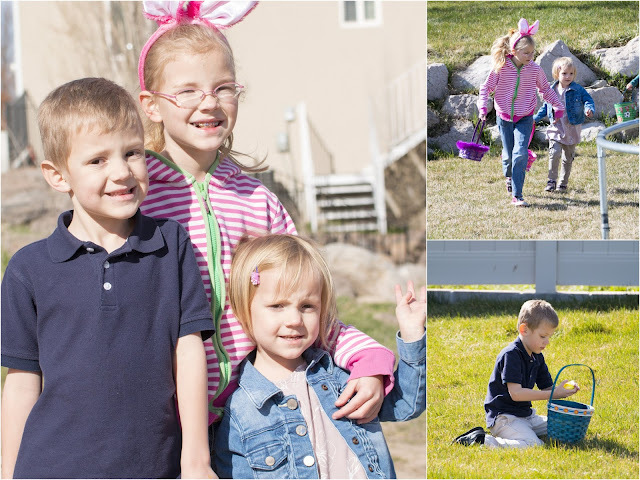 The Easter egg hunt has become a tradition for our kids. What's more fun than getting together with their friends to search for eggs and play games? This year, as lasts it was held at the Davis' and Willey's connected yards. In total there was a 1.5 acres area for the kids to search for eggs. In addition, this year the kids got to pet a white fluffy bunny and a couple of ponies who were out of the egg hunt too. I love that the neighborhood is a great mix of farm and suburban living. 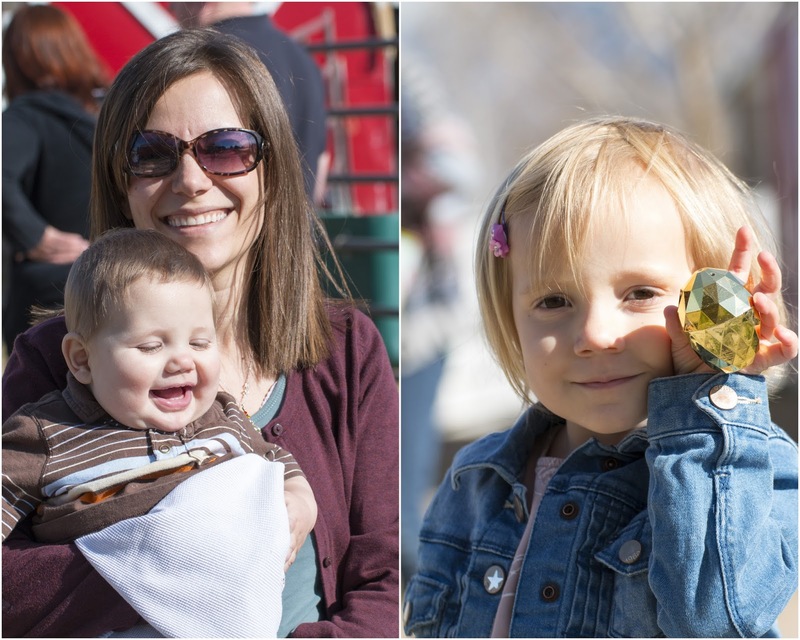 In addition to the regular eggs, each age group had a golden egg and two silver eggs for the kids to find. Stella found the golden egg in her age categories. It was worth $5! Lucky girl. The weather over the past couple of weeks has been cool, especially when the wind picks up. We've enjoyed a few warm sunny days here and there. The temperature for the Easter egg hunt was great for the kids who were running around searching for eggs. 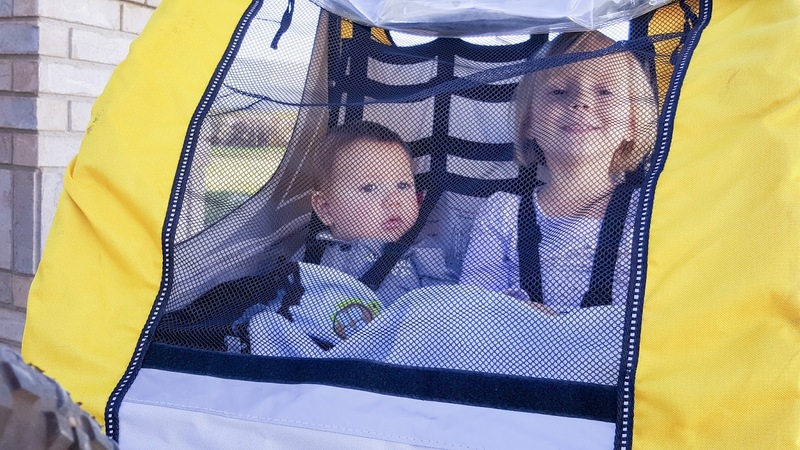 The following day Todd and I took the two youngest ones on a bike ride through the neighborhood. That too was a lot of fun. Follow Romy Humphries's board Crochet on Pinterest.